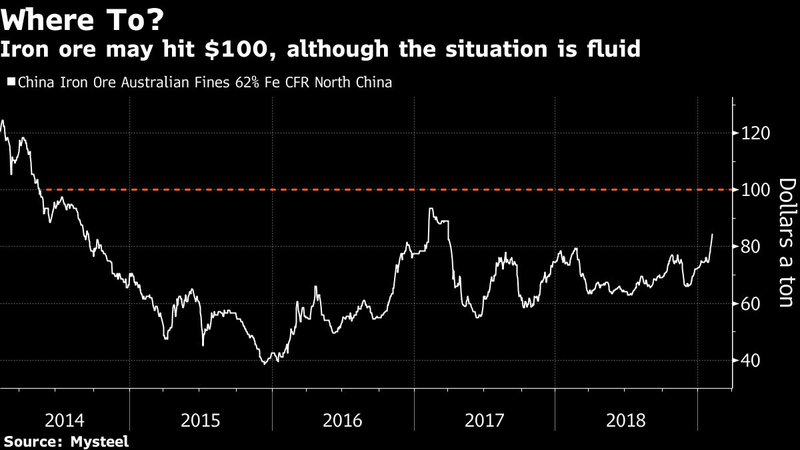 The global iron ore market is reeling from the sustained and expanding impact of Vale SA’s deadly dam breach last month, which has roiled prices and spurred concerns about a shortage. Since the initial incident in Brazil in late January, the top producer has announced supply cuts of as much as 70 million tons, although it’s said it will try to offset some lost production. As the drama unfolds, investors, users and producers are grappling with a host of unknowns, starting with how much supply Vale will actually lose this year and next as executives seek to respond to what’s likely the greatest challenge the company has faced. There are other critical variables too, which will help to influence the direction of prices, which sank on Tuesday for a second day. Since the disaster, Vale’s force majeure, benchmark spot prices have spiked to the highest since 2017, then lost some ground. Most banks and commentators expect further gains, although opinion is divided on how long the gains will last. Both Citigroup Inc. and Commonwealth Bank of Australia have flagged the prospects for a near-term surge to $100 a ton. Fitch Solutions Macro Research pushed up its full-year forecast $75 from $60. 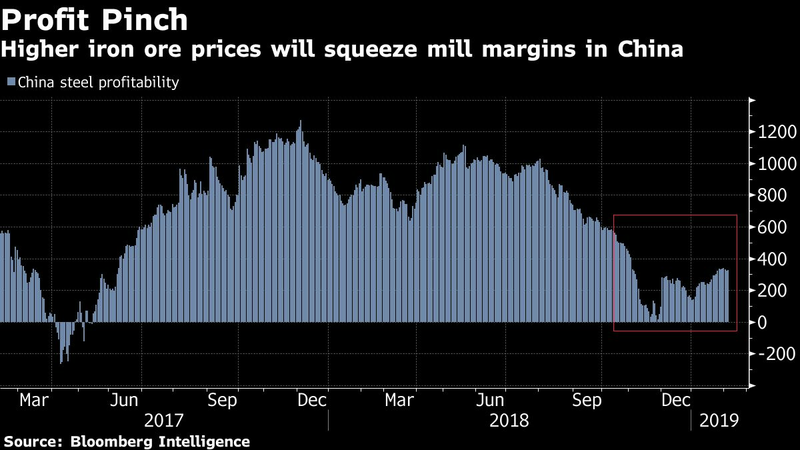 Iron ore’s dramatic rally will raise costs for steelmakers, potentially crimping their profit margins unless they are able to pass on the additional burden to customers. 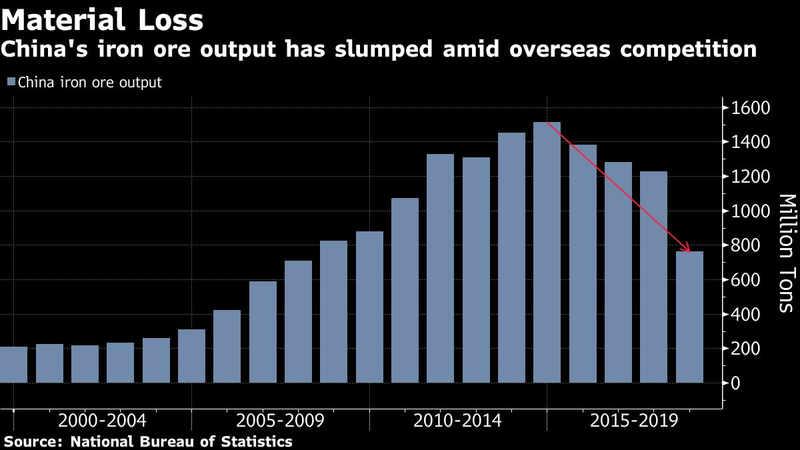 That’ll be a critical issue in China, the world’s largest steelmaker, which accounts for half of global output. Before Vale delivered its supply shock, margins went close to breakeven in the fourth quarter, before rebounding a little. Higher raw-material costs will now add pressure on steelmakers, and may prompt a further shift back toward cheaper lower-quality ores ores. That’ll probably aid Australian miners, especially Fortescue Metals Group Ltd. If China’s mills can’t get enough extra material from miners on their doorstep, what about elsewhere? Since Vale’s tragedy, the shares of rival miners — principally in Australia, the top-producing nation — have soared, including BHP Group, Rio Tinto Group and Fortescue. While they’ll undoubtedly benefit from the higher-price environment, there may be a catch when it comes to greater volumes. Among the major producers, only Rio will be able to substantially increase supply, according to Goldman. The post Inside the global iron ore crisis: What’s next in four charts appeared first on MINING.com.